Inspired by the rich resources found in the hills of the ancient area surrounding the Mediterranean Sea, Florida Tile introduces Ankara - closely resembling Jerusalem Stone limestone. Our new portfolio of wall and Natura floor tile has the visual intricacies, irregular edges and rustic depth of this popular quarried stone. 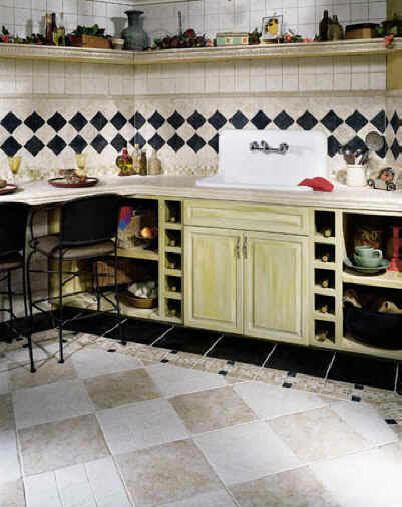 Once again, Florida Tile has utilized the latest in technology to raise the standard of ceramic tile. The versatile palette and modular sizing meshes perfectly with the expansive offering of natural stone decorative tiles. Interchanging Ankara wall and floor and pairing with the tumbled marble and limestone accents creates extraordinary installations. Step back in time and delight in the architectural wonder of Ankara.